Skimmed Milk Powder is available principally from the United States (DairyAmerica), New Zealand, various European countries, and India. Skimmed Milk Powder is obtained by removing water from pasteurized skim milk. It contains 5% or less moisture and 1.5% or less milkfat, and a minimum milk protein level of 34%. Skimmed Milk Powder is classified for use as an ingredient according to the heat treatment used in their manufacture. There are three main classifications: high-heat (least soluble), medium-heat, and low-heat (most soluble). 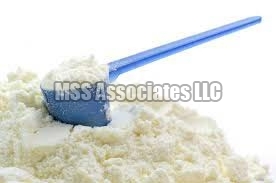 Skimmed Milk Powder is available in instant and non-instant forms.